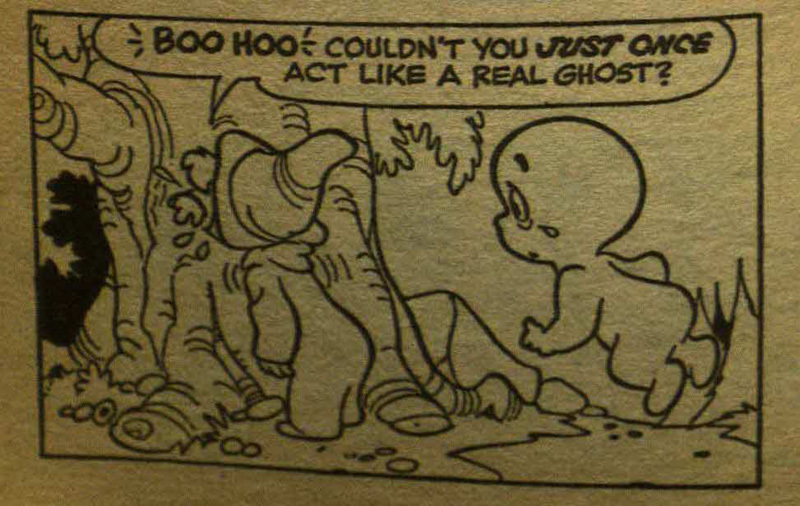 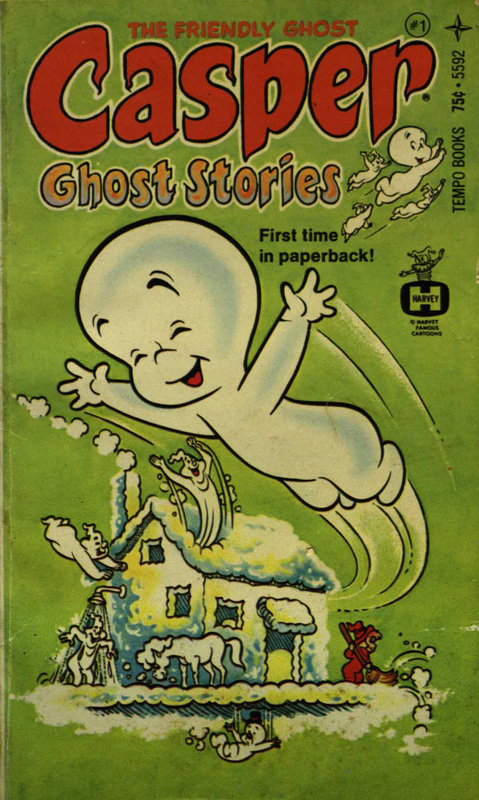 While sometimes our stacks can certainly feel like they're haunted, the only ghosts we know live here are the ones in our books! 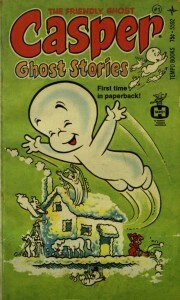 From Casper the Friendly Ghost to the Headless Horseman, our shelves are inhabited by a large variety of spirits. 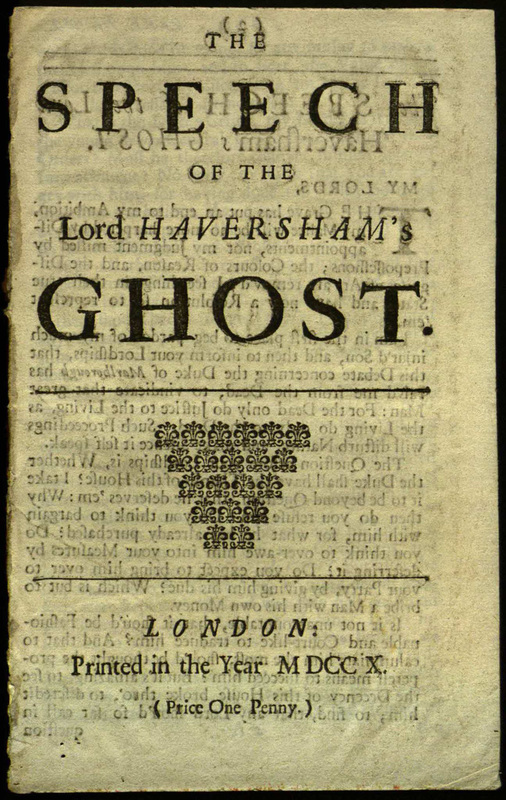 We even have books claiming to be written by ghosts, such as the Ghost Epigrams of Oscar Wilde, and collections of ghost stories spanning the years. 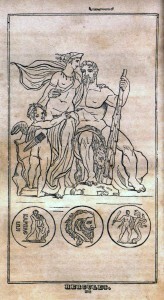 Automatic writing allows a person to channel the supernatural to produce written words without consciously writing. 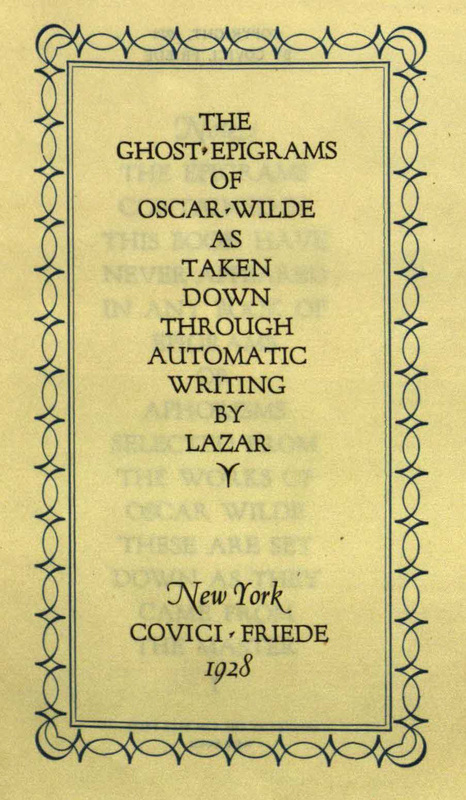 In this case, allowing the figure of Lazar to write pages worth of witty epigrams from the spirit of Oscar Wilde. 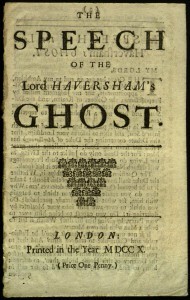 In this pamphlet, a speech is recorded from the ghost of Lord Haversham, who was so disturbed by some of the carrying-ons of the Parliment that he returned as a ghost after his death to give this speech to the House of Lords in 1710. 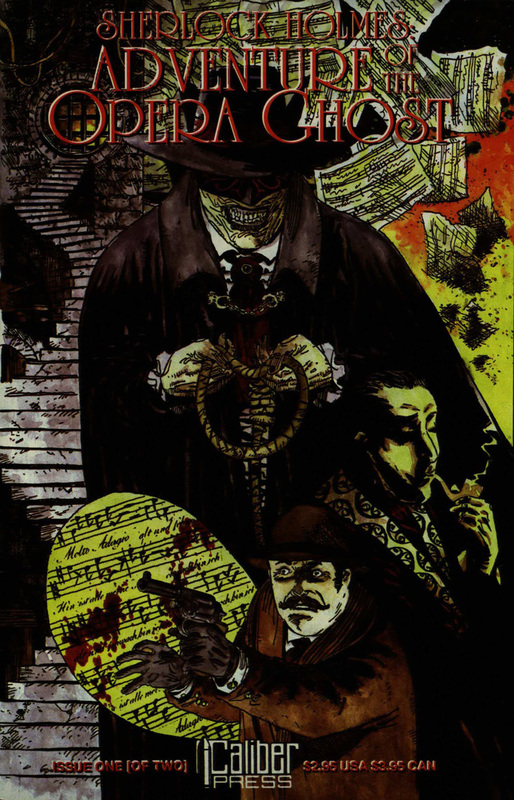 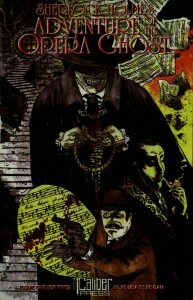 Even Holmes and Watson join the fray in the fight against evil spirits in these crossover comics that pit the famous consulting detective and his biographer against the opera ghost, or the Phantom of the Opera. 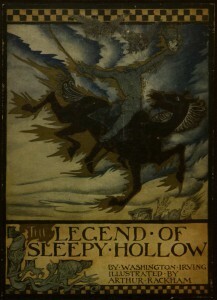 One of the more well-known ghosts in American literature is that of the Headless Horseman from Washington Irving's short story "The Legend of Sleepy Hollow." 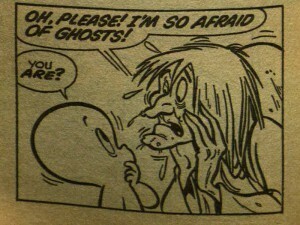 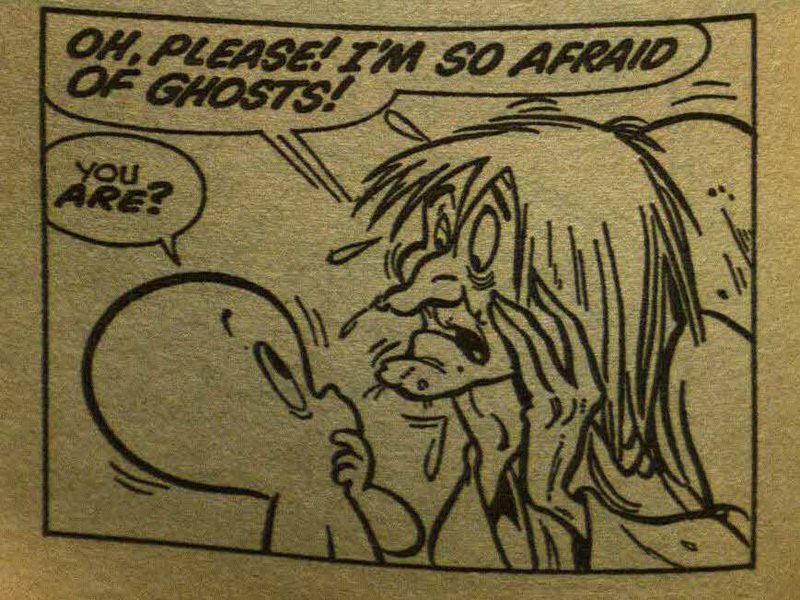 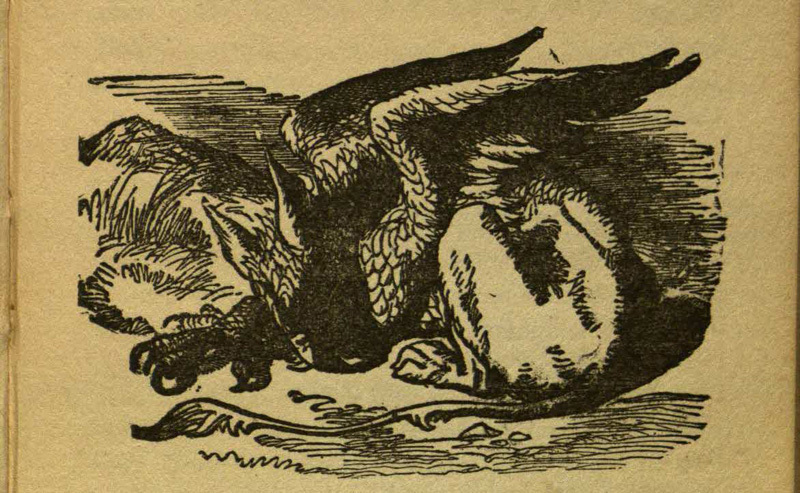 Also a terrifying figure in other European folktales, a common theme among all depictions is that, where this spirit shows up, death usually follows. St. George Jackson Mivart was a well-known nineteenth-century English biologist. 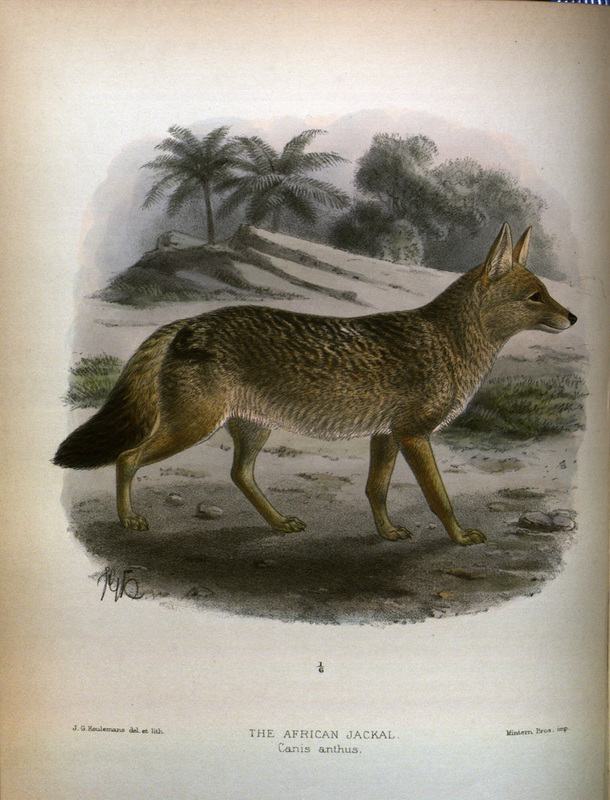 He served as Vice-President of the Zoological Society twice (1869 and 1882)and was elected a Fellow of the Royal Society for his work On the Appendicular skeleton of the Primates. 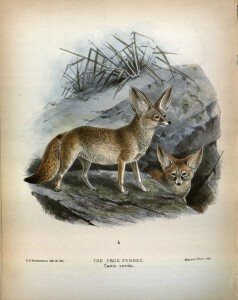 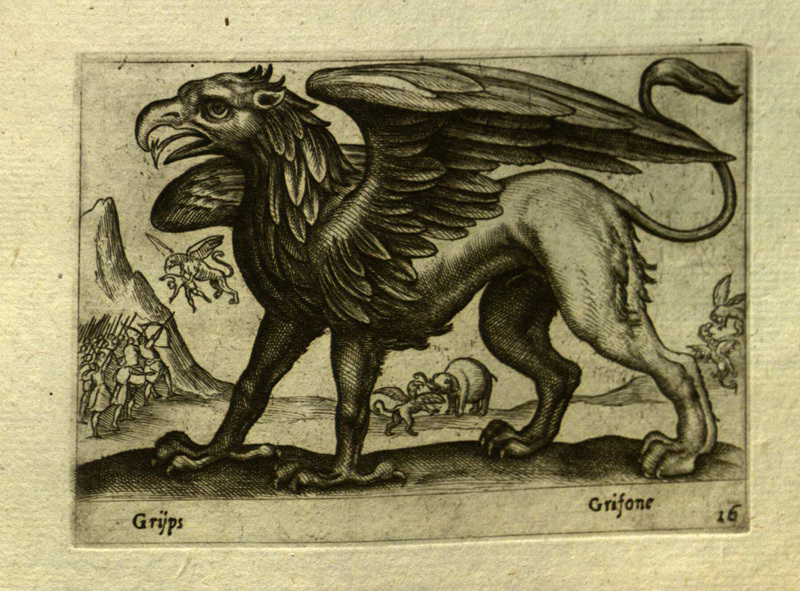 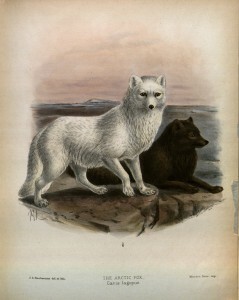 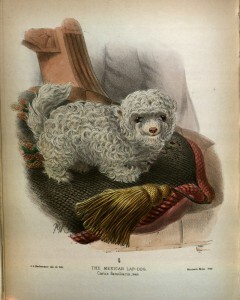 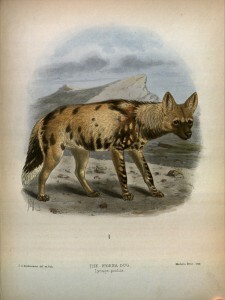 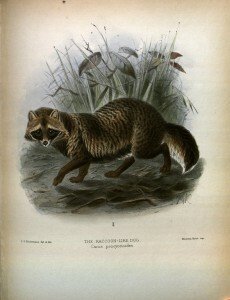 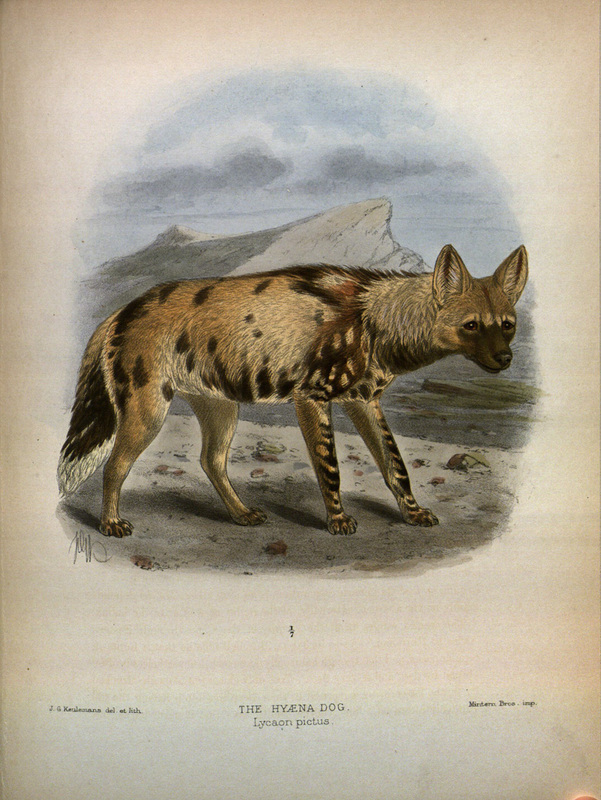 This work on animals in the canine family is filled with woodcuts and 45 hand-colored plates drawn from nature by J.G. 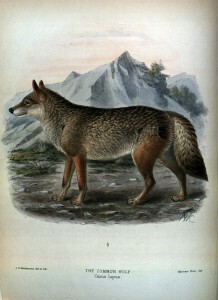 Keulemans. Mivart examines the anatomy of canids from the Mexican lap dog to the common wolf, and just about every variety in between. 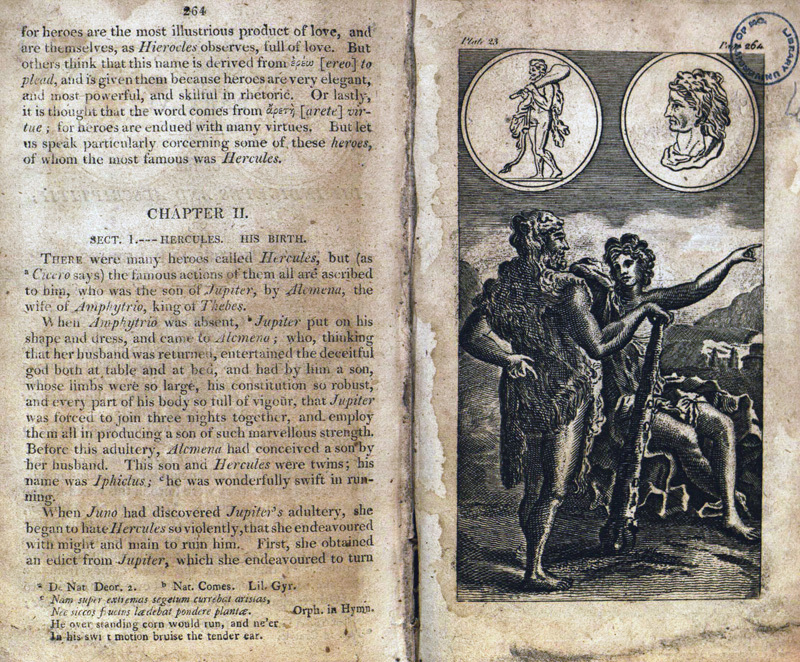 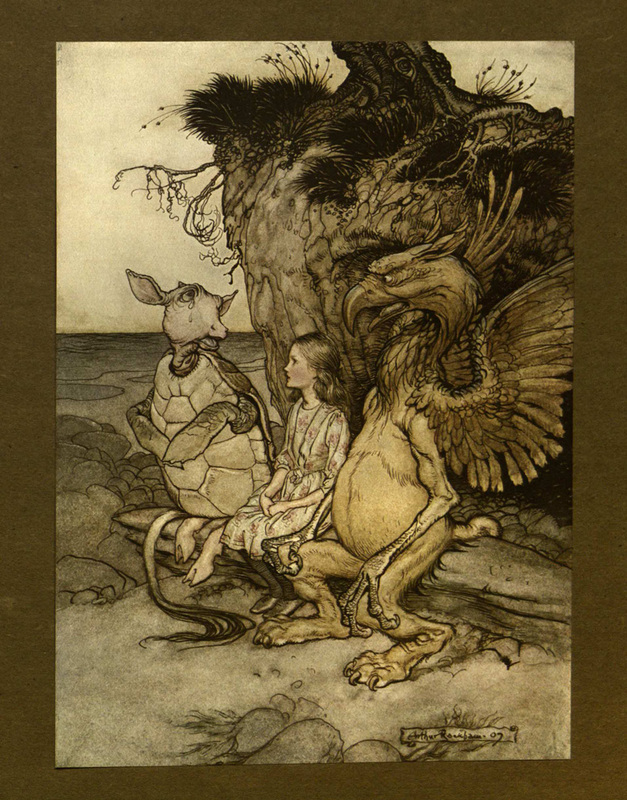 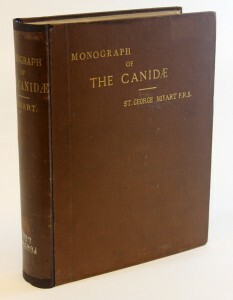 This book recently received conservation treatment through the Adopt a Book Program. 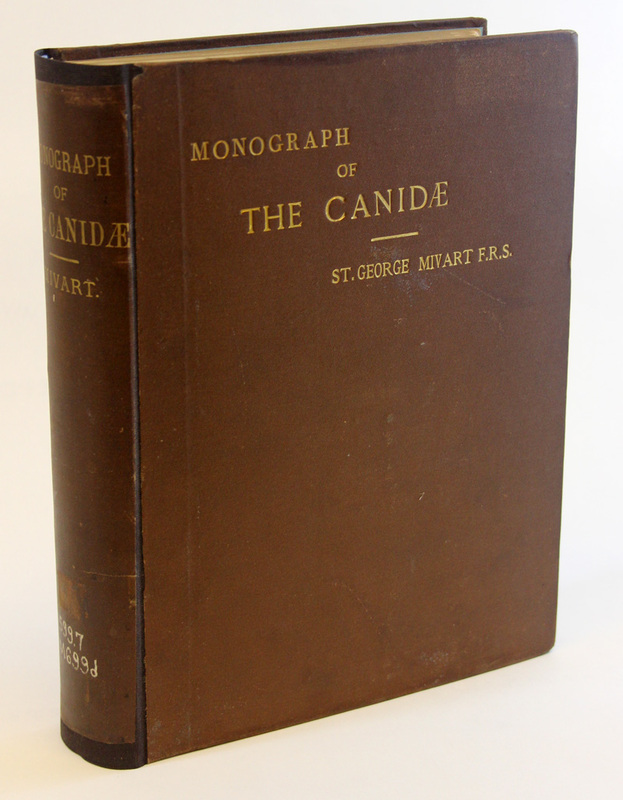 Before conservation, the book and plates were so fragile that they could not be scanned without risking further deterioration. Thanks to conservator Jim Downey and donor Robin Wenneker, the book is now available to all in our reading room. I'll be updating the Adopt a Book record to reflect the conservation work in a day or two, but in the meantime, I couldn't wait to share this sampling of the book's beautiful plates. 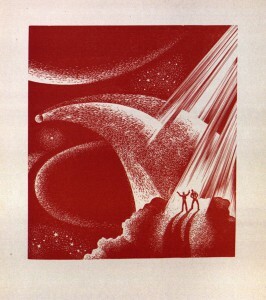 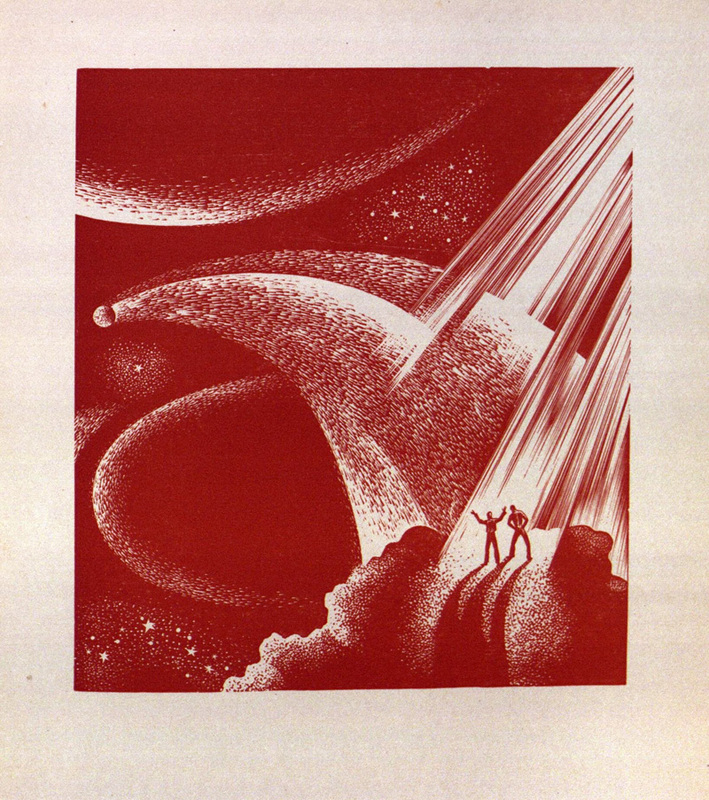 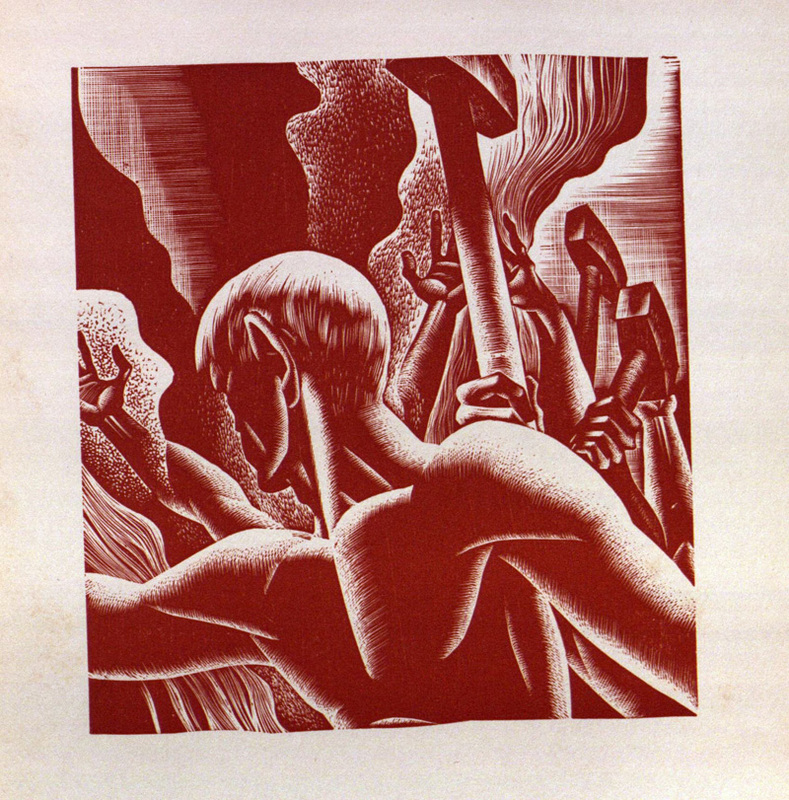 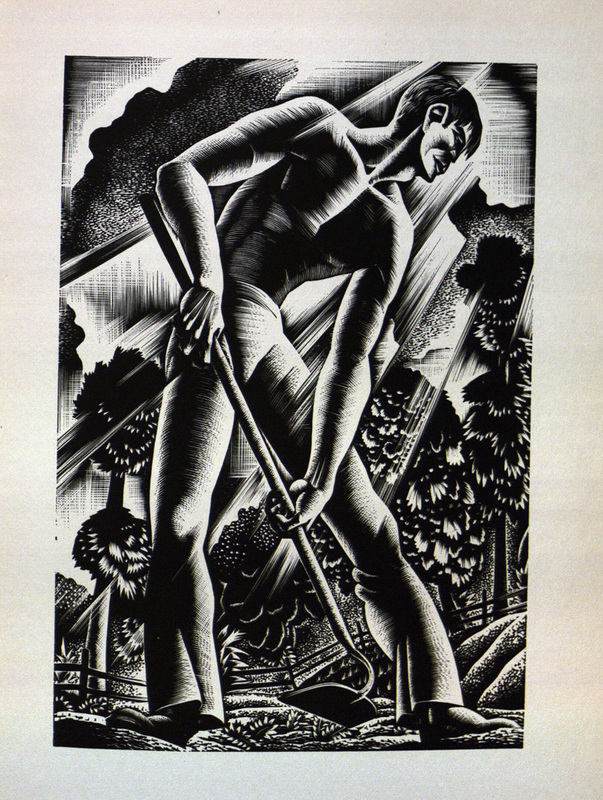 These are selections from Wild Pilgrimage (1932), a wordless novel by Lynd Ward. 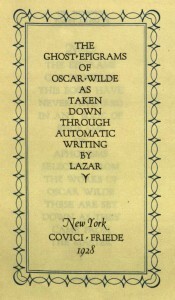 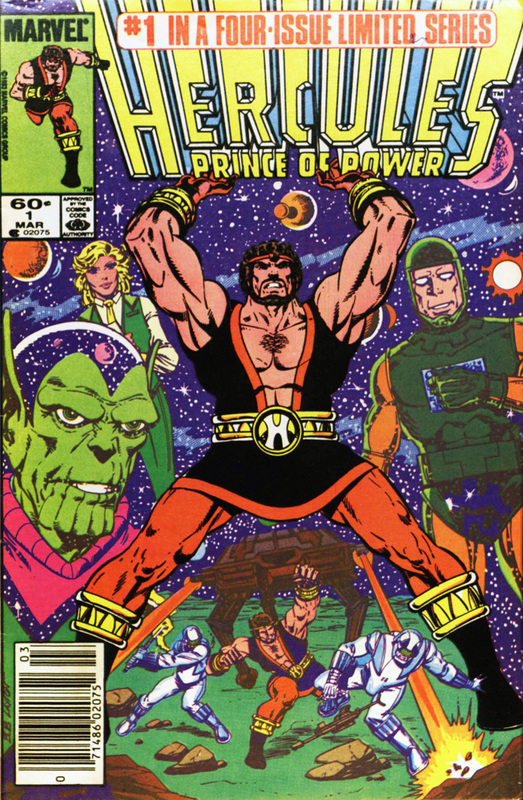 In this novel, Ward manages two plot threads by color-coding them. 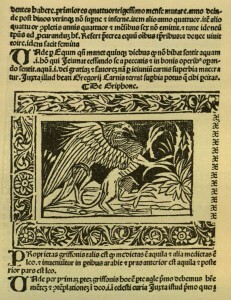 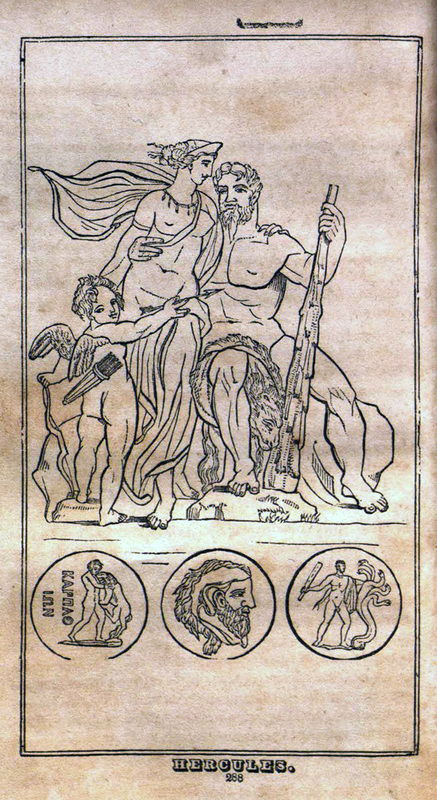 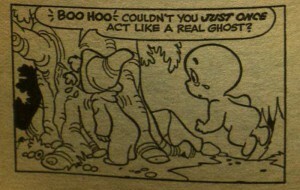 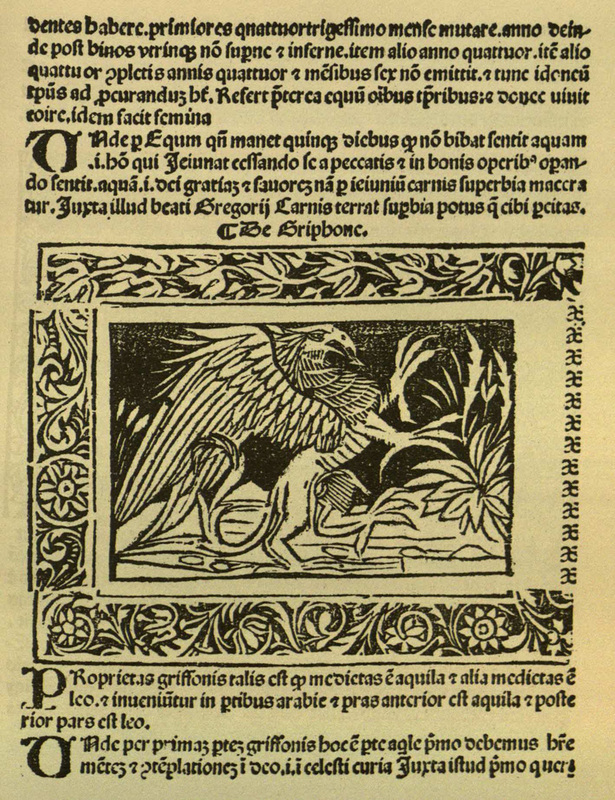 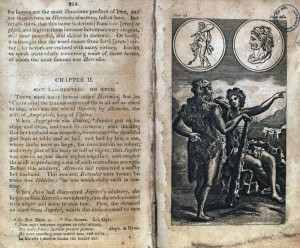 The real world is represented in black-and-white woodcuts, while the main character’s inner life is depicted in red and white. 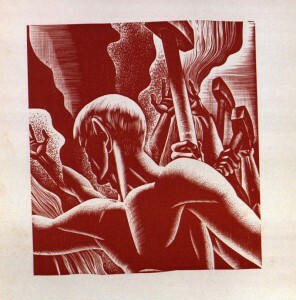 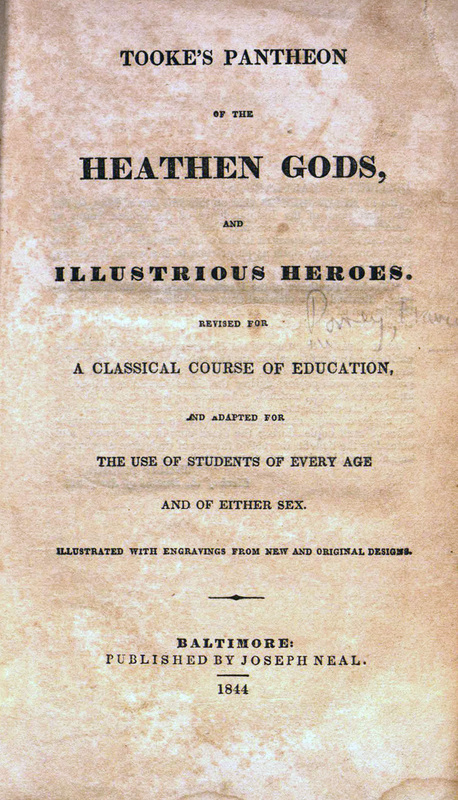 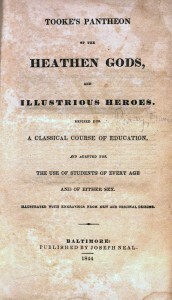 Ward's books deal with the role of the individual in society, the identity of the artist, and the hardships and exploitation suffered by the working classes. 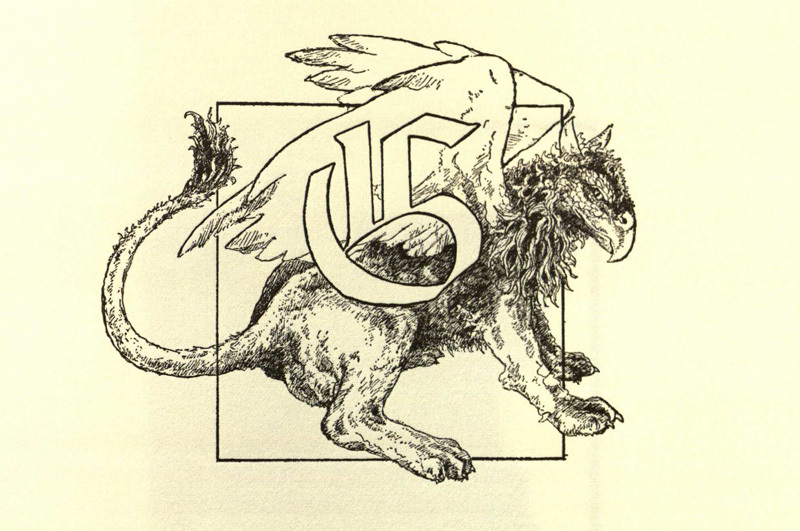 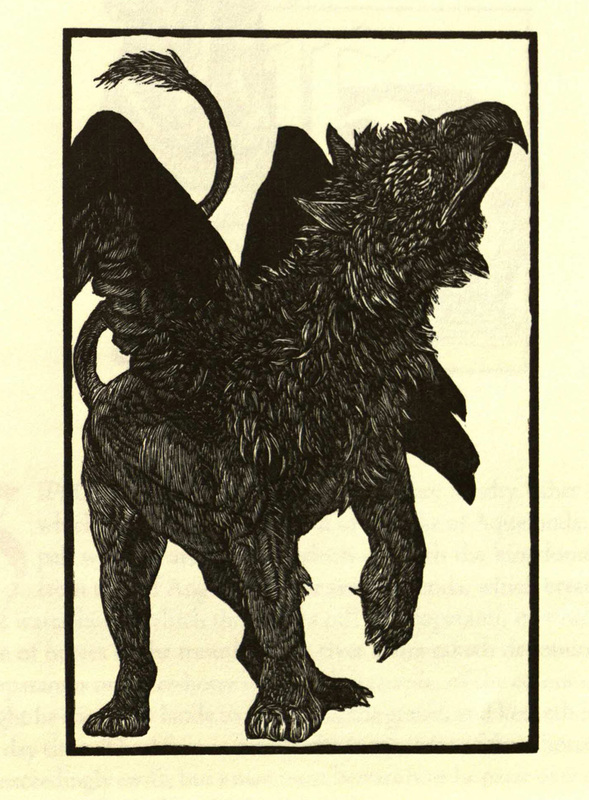 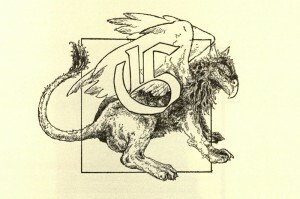 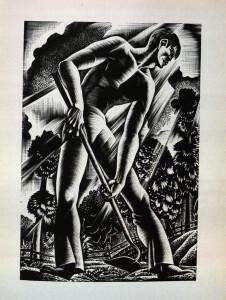 Ward worked primarily in wood engraving, which allowed for a refined line and detail. 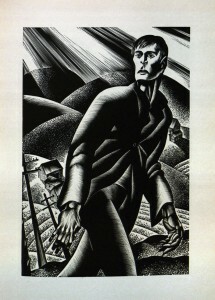 His style combines the emotive elements of Expressionism with the monumental, muscular figures of Art Deco. 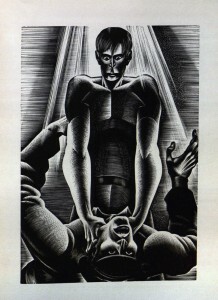 Ward varies the use of space and even the dimensions of his images, providing the reader with a changing experience as pages are turned.